Ana Hernández is a career educator and administrator who most recently served as Director of the Magis Program at St. Ignatius College Preparatory, San Francisco, which supports first-generation college bound students from low socio-economic backgrounds and from underrepresented groups in higher education. 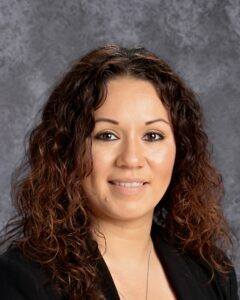 Ms. Hernández immigrated to Oakland from Mexico as a child with her family. She received a Bachelor of Arts degree from Occidental College, Los Angeles, and a Master of Education degree from Mills College, Oakland, California. She has continued her graduate studies in teaching and educational leadership at Mills College. Her passion is the education of youth from underserved communities.